...and have to claw my way out of the mountain of yarn, choking on skeins, untangling hanks from my hair, and gasping for air along the way. I honestly don't even know why I went into the stash in the first place. One minute I was perusing Ravelry cause I was avoiding having to do dishes (um...big mistake right there), the next I was narrowing down patterns, and before I knew it I was knee deep in yarn, rummaging through bins, and pulling out bags of sweater quantities. Needless to say, when I fell, I fell hard. And to show for it, I now have an epic case of Starteritis. 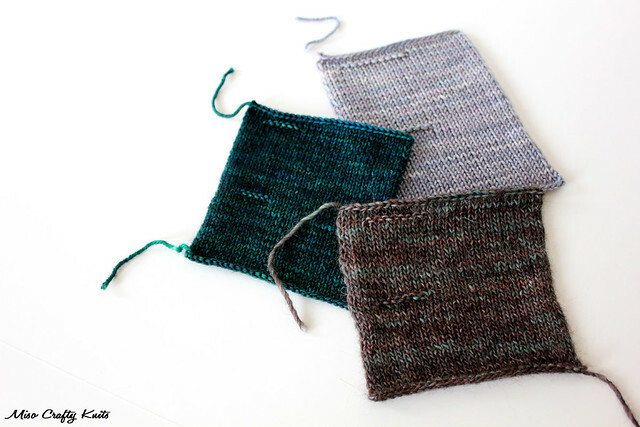 I've been winding yarns, knitting up swatches, and casting on projects left and right. I've started a hat, a pair of fingerless mitts, a pair of gloves, a shawl, a cowl, and get this: not one, not two, but THREE sweaters. Never mind that I already have a shawl and a cardigan (and a bunch of other WIPs that we must not speak of...at least, not now) on the needles, or the fact that I have a small list of things that need to be knitted up for Christmas gifts (or the fact that Christmas is only 7 weeks away...let's not talk about that). But then again, is there really a reason behind Starteritis in the first place? I like to think that the cold, wet, and dreary weather is the reason why I want to cast on all the yarns. Don't you think the need to wrap yourself in cozy, warm sweaters is a good enough reason? I think so. I just hope that this feeling passes soon. Last thing I need is to cast on another 3 sweaters or so, especially when gift knitting needs to start soon and I should really be working on those. I think I need to just stop procrastinating cruising around on Ravelry and maybe close the door to the yarn closet for a while. But only for a while. 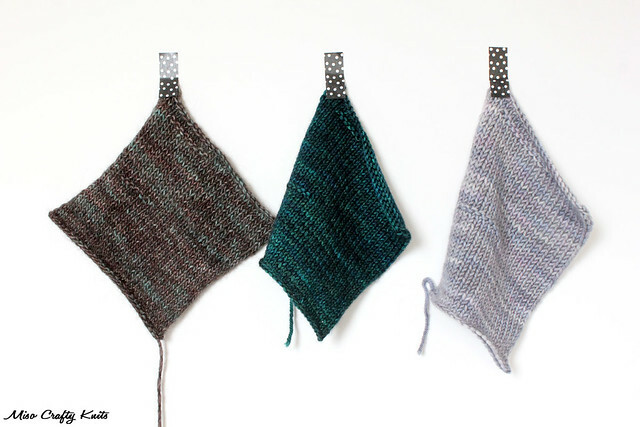 After all, there are so many other pretties that need to be knit with too. WOW! That really is a lot! But if I had those yarns I would do the same!! The swatches look beautiful, I cant imagine sweaters!! Looking forward to reading about your progress! oh my.... it must be contagious... or perhaps it is just the weather? I think it's definitely the weather! Something about the freezing cold temperatures that dig deep into your bones and make you want to cozy up in warm woollies is definitely a reason why I knit way more in the fall and winter!